Two jumpers of hand-knitted wool and metallic yarns. 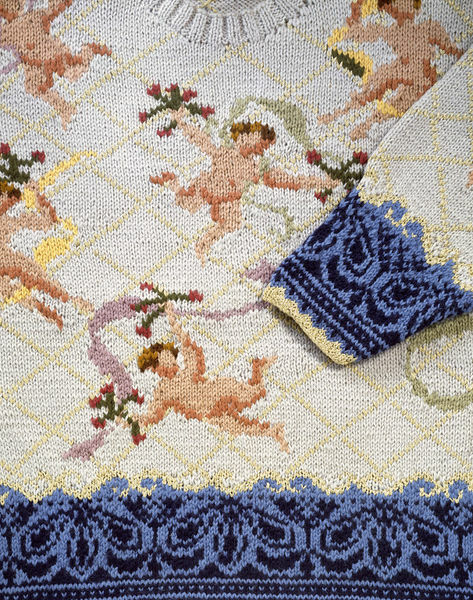 Chunky hand-knits, featuring cherubs basking amidst golden trellis designs with flowers and trailing garlands. 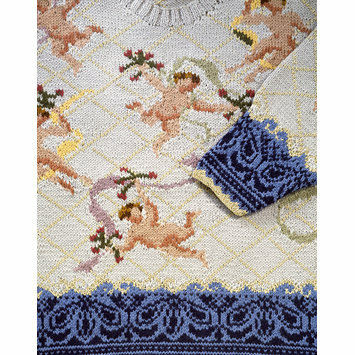 A dark-blue border pattern circle the cuffs and hems. Registered File number 1990/951. Part of an outfit with T.210B-1990.